UltraFloor have enhanced their range of subfloor preparation materials by introducing Grip & Grab IT multi-purpose adhesive. Available in a 290ml tube, Grip & Grab IT is an MS-polymer based adhesive designed for a variety of applications including fixing gripper rods and trims and securing skirting boards and stair nosing. Grip & Grab IT is quick to apply, adheres to porous and non-porous surfaces instantly and boasts high strength, giving you confidence that projects can be completed on time and once cured, the adhesive will not fail. In addition to its exceptional and instant grab, Grip & Grab IT also has excellent workability, giving you time to make any necessary changes to the adhesive or fixtures whilst relieving the pressure of only having a short window of time to do so. It’s this workability that really sets Grip & Grab IT apart from anything else available on the market. For more information on this unique feature, please visit Instarmac.co.uk/support/videos. The benefits of using Grip & Grab IT don’t stop there! Developed using an MS-polymer formulation for a guaranteed bond to most common substrates, Grip & Grab IT is suitable for both internal and external applications, is smooth to apply, can be used on damp or wet surfaces and cures fast with increased strength. With a shelf of 12 months and a lid to stop the adhesive drying out in the tube, Grip & Grab IT is a truly multi-purpose product you really don’t want to be without. 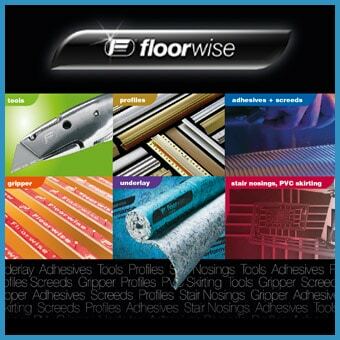 For further product details, pricing information or to place an order, please contact the UltraFloor sales team by emailing [email protected] or calling 01827 254402. Keep up-to-date with the latest news, product innovations and videos by following UltraFloor on Twitter @Ultra_Floor.